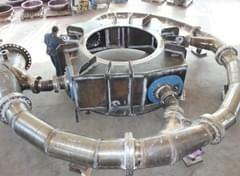 Gotti is engaged in the construction of Fabricated Product and Mechanical works for the Hydropower Industry. Gotti can supply Custom Made Welded Structures in carbon or stainless steel as per our client spec and drawing. 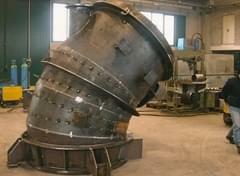 Fabrication of Complex Product: up to 20 tons weight and 200 mm thickness. 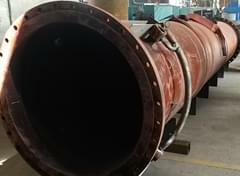 Complete package supply: integrated fabrication (including PWHT + NDE), qualified outsourced products and services (mechanical machining , pickling & passivation, painting), packing and special transportation.